At present, in the second sales phase, fans can only buy ticket packages in the different nine host cities, but from early March they will have the chance to secure their seat at individual matches. 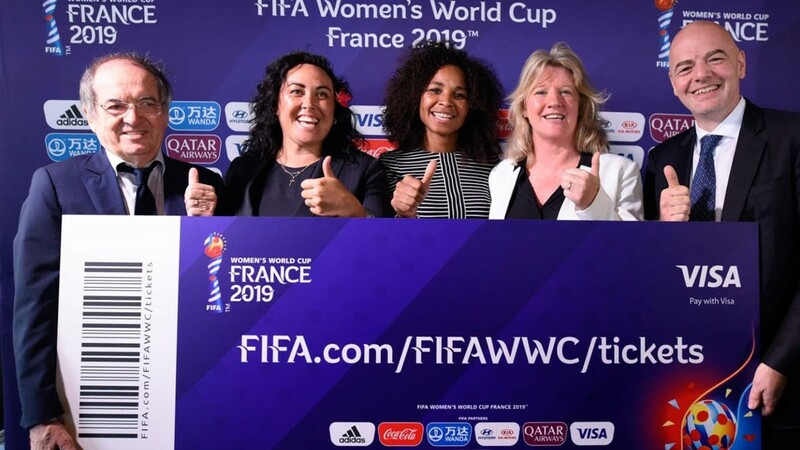 Ticket prices will start at a modest €9 for all group games, except for the tournament’s curtain raiser between the hosts France and South Korea at PSG’s Parc des Princes in the French capital on June 7, where prices start at €13. A month later, Lyon will stage the final with ticket prices ranging from €23 to €84. Of the 330,000 tickets sold to date, FIFA says the French public have been bought 57%, followed by supporters from the United States (25%) and Britain (3%). Lyon (90,000), Paris (76,000) and Valenciennes (34,500) have sold the most seats so far, with a total of 1.3 million tickets available for the competition. Friendly matches in the run-up to the finals have been drawing strong crowds as the 24 participants gear up for the Summer tournament. In January South Africa hosted European champions the Netherlands in front of 27,000 fans in Cape Town and World Cup hosts France defeated defending world champions the USA 3-1 in Le Havre, watched by a sell-out crowd of 22,870 fans.